Philip Givens (November 7, 1892 – January 7, 1976) was the first Mayor of Toronto of Jewish faith, underpinning the cultural mosaic that characterises Canadian Society. He was the driving force behind the new City Hall designed by the celebrated Finnish architect Viljo Revell. Guided by Revells’ passion for Henry Moore’s sculptures, and Philip Givens dertmination to modernise the City, their collaboration eventuated in Moore’s “Three Way Piece” (referred to as “The Archer”) taking centre stage within the new Modernist civic square. 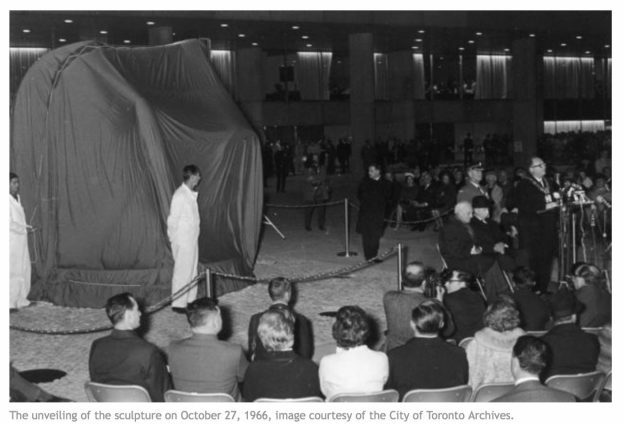 The Archer heralded a significant change of attitude amongst the Canadian population during the 1960’s cultural revolution in Toronto and laid down a design tenet that civic spaces coupled with public art, that has provided a lasting legacy to this present day. Canada is renowned as a tapestry of cultures, as opposed to the cultural melting pot of the United States. 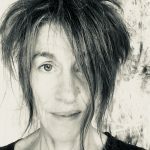 The distinction being that difference is celebrated in Canada and adds to the vitality of the country through the cosmopolitan diversity of migrants who have contributed to Canadian culture & society. Access to Justice forms a central tenet of the Canadian Carter of Rights and freedoms and it was this principle, alongside ongoing worldwide contemporary politics relating to plight and migration that attracted me to the idea of this central principle of Canadian legislature. 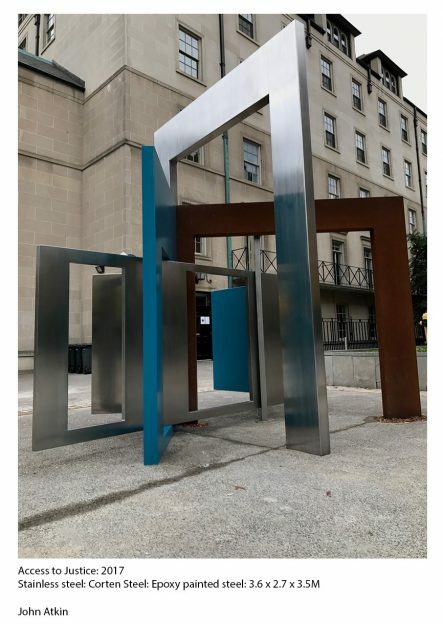 The notion of removing barriers is central to the understanding of my artwork, and the proximity of the sculpture adjacent to the offices of the Law Courts of Upper Canada underpins this concept. 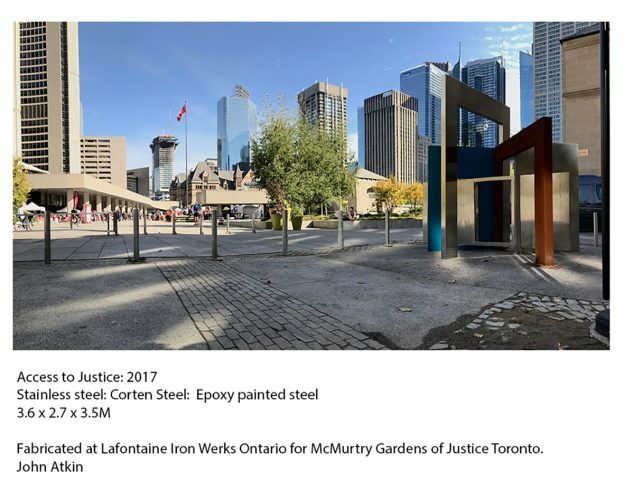 Access to Justice is made from a combination of polished stainless steel, painted steel, and Corten steel. The polished stainless steel reflects the architectural surroundings as well as the colour and vibrancy of the busy everyday activity characterised by this space. The stainless steel is also a metaphor for renewal and optimism, which was (and is) the driving force for so much migratory footfall to Canada. Stainless steel is a light-reflecting neutral material: it surfaces capture the reflections of all nationalities into the surfaces of the artwork: thereby equal under the law and empowering all nationalities access to the law. The Corten steel is a sealed rust coloured surface – a metaphor for the past, as well as industry representing notions of human endeavour. Corten steel oxidizing to a bespoke hue of red depending on the atmospheric conditions it is placed in. The conjoining of the two metals creates a bridge between the old and the new. The use of the colour blue in this installation is also important as it has metaphors to the Great Lakes, which punctuate the landscape and are integral to Canadian culture & heritage values. 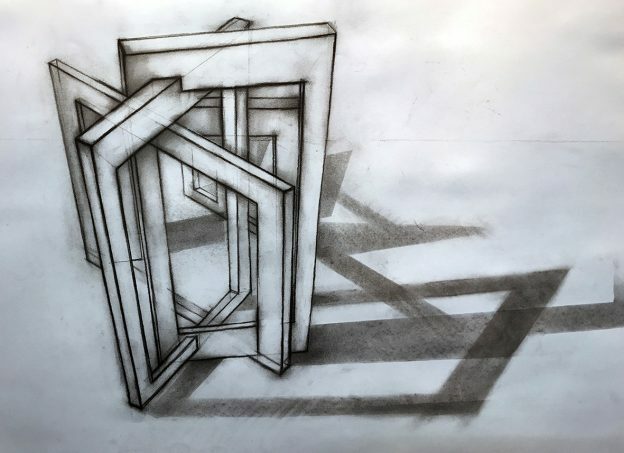 Normally, these flat plane surfaces would be read as a barrier or obstacle, except this landmark artwork has gateway apertures that allow the viewer to pass through a series of portals: a metaphor for doorways to the Justice system. This physical and conceptual barrier is resonant of a series of rules that intersect at different points, with doorways that facilitate access through the space. The apertures are disability aware to facilitate interaction for all users and are non-discriminatory. The use of colour in this concept is also important as it has metaphors to the Great Lakes, which punctuate the landscape and are integral to Canadian culture & heritage values. Stainless steel is a light-reflecting neutral material: it surfaces capture the reflections of all nationalities into the surfaces of the artwork: thereby equal under the law and empowering all nationalities access to the law. 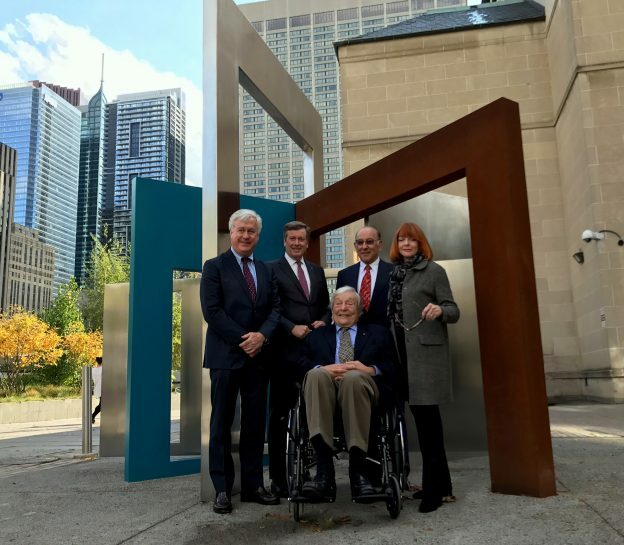 Finally, when discussing issues of fairness and justice, it’s necessary to contextualize my sculpture with Judge Roy McMurtry (Born May 31st, 1932) to whom the public walkway where “Access to Justice” is located, and whose presence graced the inauguration of my sculpture. He held several high offices including Attorney General, High Commissioner to Canada to the UK, and latterly Chief Justice of Ontario. He was regarded as a great unifier who was able to find common ground between competing voices. He was also a race relations commissioner creating pro bono services for the poor and underprivileged, lobbying lawyers to support the system of justice for all. His work with the youth of Toronto brought about the feted program Ontario Justice Education Network, which educates those at risk of the justice system. 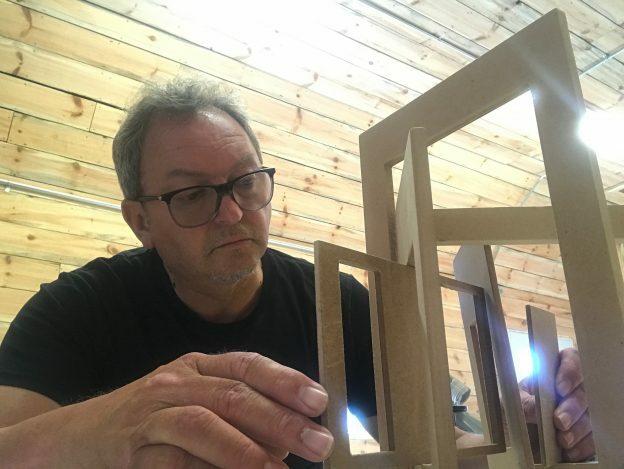 I’m indebted to Mike Bilyk for his generosity and hospitality during the course of making Access to Justice at Lafontaine Iron Werks Inc in Tiny, Ontario, and for allowing me to use one of his out buildings as a studio to develop the models and drawings from which the sculpture was made.